“Sweeet zoo Alabama!” Okay, that’s a little cheesy but we thought it was funny. 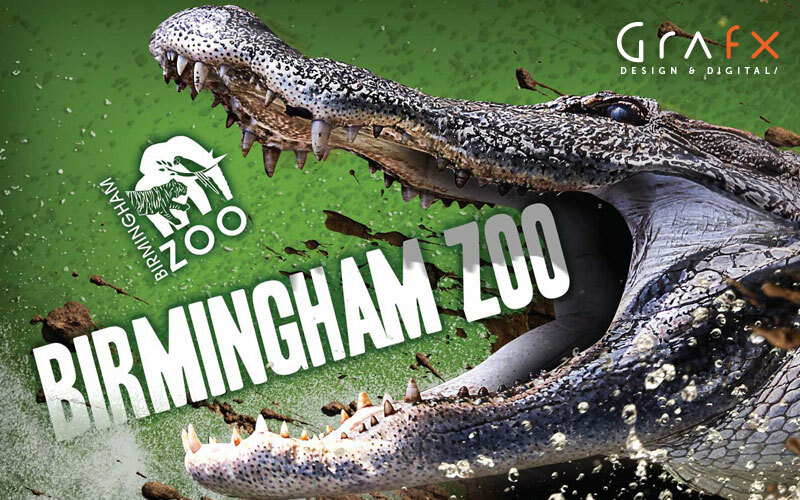 On a more serious note, that amazing introduction leads us into announcing one of our newest (and most exciting) clients, The Birmingham Zoo. The Birmingham Zoo approached us based on our award winning work for the Living Desert. The Living Desert is based out of Palm Desert, California. The Birmingham Zoo was looking to update/rebrand just about every portion of the park and their marketing messaging and collateral. Since then we’ve successfully rebranded and refreshed many aspects of their park including billboards, park signs (printed and digital), print/marketing collateral, event collateral, and much more. We’ve featured some of these works for The Birmingham Zoo here, so feel free to check it out. If you would like to learn more about the park itself, you can visit their website.